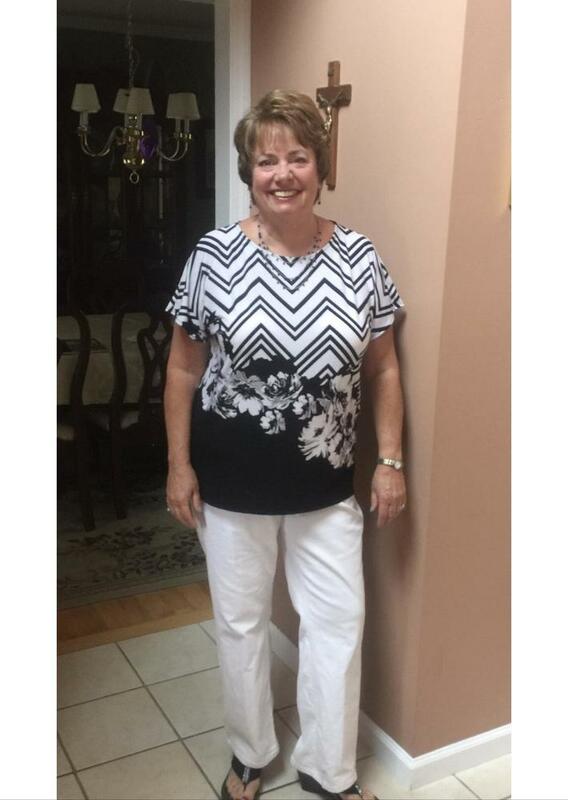 Ginny Kildoyle ’68 (known during school as Virginia Madden) chose Cathedral High School because she didn’t want to go to the same high school as all of her friends – she wanted to do something different. She attended the Immaculate Conception Branch in the Bronx (for her freshman and sophomore years) and she loved attending the main branch during her junior and senior years. Little things stick out in her mind as she thinks back to her CHS days, like receiving colorful candy corsages from friends for her 16th birthday, or the day when the Sisters came to school wearing their new habits. “The most exciting part was the minimal headwear. Instead of only seeing their faces, it was going to show us the color of their hair, which to us students was very exciting,” said Ginny. “As each bell would ring to indicate time to change classes we would run down the halls and peek through the small rectangular windows in the classroom door to see how each Sister looked.” She enjoyed class with English teacher Mrs. Flood, who sparked her interest in poetry. “She was a lovely woman,” said Ginny. She also remembers trying out to be a baton twirler. “They had us lined up in the hallway, going one direction and then when they would turn the corner, there was a whole bunch of girls going the other way. Sr. Lawrence walked down the hall, and she said, ‘Smile. Point your toes.’ When it was all said and done, I was one of the few selected,” said Ginny. She cherishes her memories of marching in the St. Patrick’s Day and Columbus Day parades. Ginny credits Cathedral with giving her career a good start. When she was looking for her first job after high school, Ginny went back to Cathedral for assistance. Her guidance counselor, Michelle Mattia, connected her to an opportunity at the Waldorf Astoria, working in reservations at the men’s only Canadian Club, on the hotel’s 16th and 17th floors. “It was the most fun,” she said. She enjoyed working at the Waldorf Astoria and she also met celebrities like Robert Goulet and Carol Lawrence, who performed residencies at the hotel. Next, a family friend helped her to get a foot in the door at United Airlines, where she had a long and exciting career working in the reservations department. As much as she could, she took advantage of the opportunity to travel. On her 25th anniversary with United Airlines, she wrote a thank you letter to the family friend who helped her to get that first position with the company. “Without his influence and guidance, I wouldn’t have had the wonderful career that I had,” said Ginny. She was with United Airlines for 37 years until her retirement in 2006. In 1974, she transferred to the United office in Northern Virginia. By coincidence, one of her co-workers was a Cathedral classmate, Janet DeJesus Rodriguez ’68. Ginny has been keeping up with classmates through Facebook, and this year, she attended her first Cathedral reunion, which was her 50th. As she flipped through her yearbook recently, Ginny read the remarks from her friends, noting her habit of smiling and laughing during high school. “It’s really fun to read these impressions that people had of you when you were young,” she said. Even after all these years, thinking back on her Cathedral experience still makes Ginny smile.